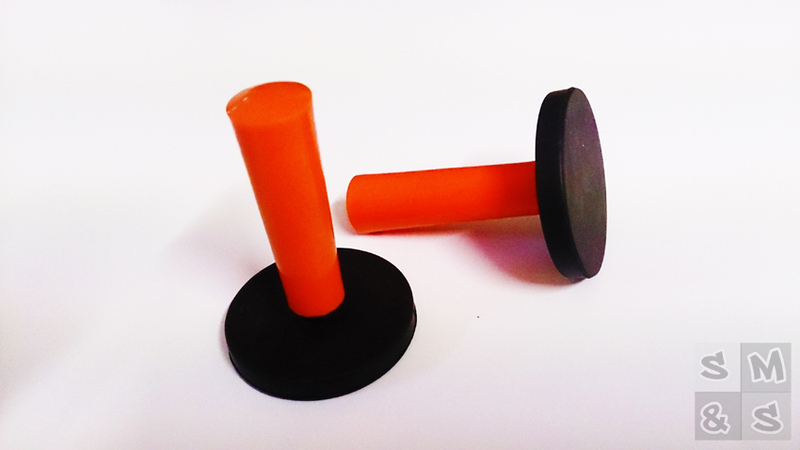 These gripper magnets now come with bright fluorescent orange handles. This is due to a large number of our customers saying that they kept leaving the black ones on the sides of vans, so we have had these manufactured to be a little more eye catching to hopefully ensure you wont leave them on the side of a vehicle! They are very strong so are great for vehicle wrapping as well as for sign writing vans and other vehicles. They enable you to hold the vehicle wrap or sign vinyl in place whilst you apply it.